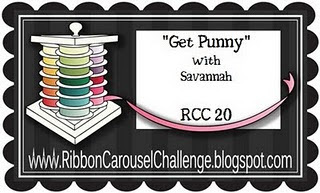 AshleyNewell.me: RCC20 Get Punny with Savannah! RCC20 Get Punny with Savannah! Hi friends! I hope you are having a great day! We had a fun one! I got to crop with a couple of my friends. Brady had a great day at school and we have our first play date with a little friend from school. Now it's time for a new Ribbon Carousel Challenge. This challenge is Get Punny with my friend Savannah! This is a VERY Sav and Ashley challenge. We are PUNNY PUNNY girls. Remember, when you play along with the Ribbon Carousel Challenge, you need to use ribbon, trim, lace, twine or pretty much anything that comes on a spool. The sponsor for this challenge is Lawn Fawn. You know how much I LOVE Lawn Fawn stamps! They are super duper cute! 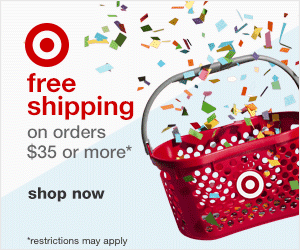 And they are having release week this week so check out the Lawn Fawn Blog. The prize this week is the Bows and Holly stamp set! Super cute! Here's my card for this month. For my spool elements I used Ivory Lace, seam binding, and Lemon Divine Twine. The stamps are from Lawn Fawn's Sew Lovely. The patterned paper is Authentique Blissful. I used this week's Card Position Sketch for this card, sketch #235. 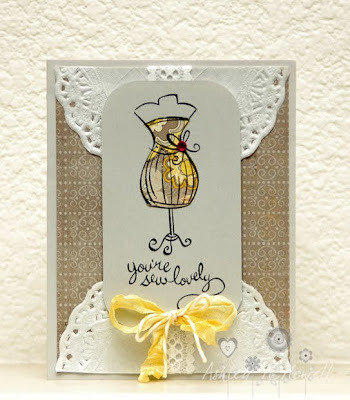 Be sure to check out the Ribbon Carousel Challenge Blog to see all the design team creations and to link up your own Punny card! So elegant and pretty! Love it!